Too Much Trivia in the Pants | Captain Hamerica! This was our second-place-winning entry in the off-campus Mask Hour action question. We had the patriotic bandannas already, so all it took was a little porcine inspiration to reach the pun. 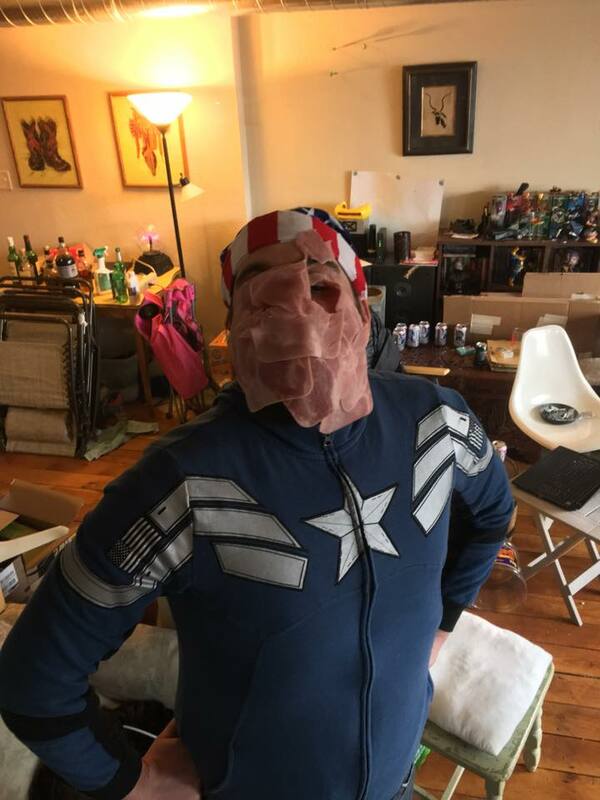 A package of sliced ham from Walgreens and a Captain America sweater fished out of the hamper later and we had our entry.